Heating Area 139 sq. ft.
Heater Rental Service is sophisticated, classic and operates on electric ignition, which makes them hassle-free in terms of quick starting-up and turning off. It runs on halogen heating element and can heat up to a large area. 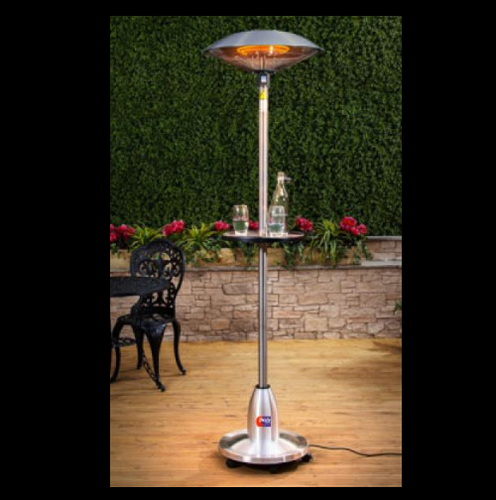 Whether it is a candlelit dinner on a patio or a short gala event under the sky in a cold evening, these electric heaters can enhance your dining experience without disturbing you with any loud or ambient noise. In addition, it is made of durable metals and provides substantial electric cord length for the heaters. If you need to know more about these stylish halogen lamps then give us a call. Established in the year 2000, at New Delhi, India, we, “Onsite Rentals Services Private Limited”, are engaged in providing rental service for Segway Rental Services, Golf Cart Rental Services, Portable Restrooms Rental Service, Air Conditioner Rental Service, Air Cooler Rental Service and much more. These are offered in standard as well as customized specifications, to meet the specific requirements of our esteemed customers.